A loyal Proof That follower sent this to me. She says that the word “trustee” is spelled correctly on the reverse side of the sign. 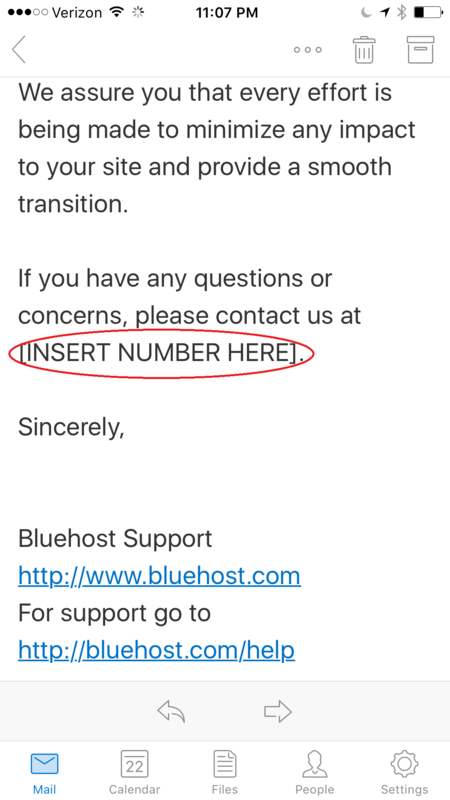 I recently received a email from Bluehost which I actually read. I found this at the end of the email. I regularly see this as “Dear [INSERT NAME HERE],” but I don’t usually see it for the sender’s own phone number. The Oxford comma is subject to debate. It is the comma before the word “and” in a series. For example, “bread, eggs, and milk.” The comma between “eggs”and “and” is called the Oxford or serial comma. It separates all of the parts of a list. Some style guides tell you to use it and some tell you not to. The Gregg Reference Manual calls for the Oxford comma (¶ 162a). The thing I always remember that encouraged me to use the Oxford comma was an example of a will that left property to John, Joe and Sarah. If you are literal (as most lawyers are), you could say that the property was left half to John and half to Joe and Sarah to share. If you add the Oxford comma between “Joe” and “and,” there is no question that the property is to be divided into three parts—one for John, one for Joe, and one for Sarah. In my opinion, it is one small piece of punctuation that can make a huge difference in the meaning and intent of what you are writing. 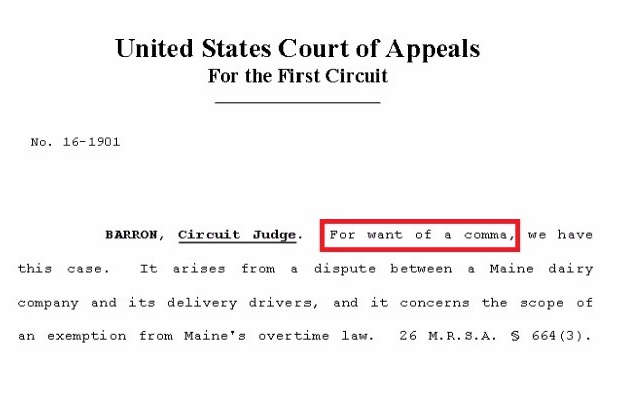 In fact, as most of you may have heard, just last week, an appellate court ruled in a Maine labor dispute based on the Oxford comma. The case was about dairy drivers who argued that they were entitled to overtime pay for certain tasks. The company said they were not entitled to that overtime. The appeals court ruled that the guidelines on activities entitled the drivers to overtime pay because the guidelines were too ambiguous due to the lack of an Oxford comma. Based on this language, is packing for shipment its own activity or is it packing for the distribution of the three things on the list? If an Oxford comma had separated “packing for shipment” and “or,” the meaning would have been much more clear. According to court documents, the drivers arguing for overtime actually distribute perishable food, but they do not pack it. That argument helped win the case. The circuit judge said that had the language used the serial comma to mark off the last of the activities in the list, “then the exemption would clearly encompass an activity that the drivers perform.” Since the serial comma was not there to mark off the last of the activities, the judge obeyed the labor laws which, when ambiguous, are designed to benefit laborers and the case was settled. “For want of a comma, we have this case,” the judge wrote. But even worse than that is the fact that there are guidelines on how Maine lawmakers are to draw up their documents that do NOT include Oxford commas, so they followed the guidelines they were given. At least they followed the guidelines last week. This week, that guideline may have changed. 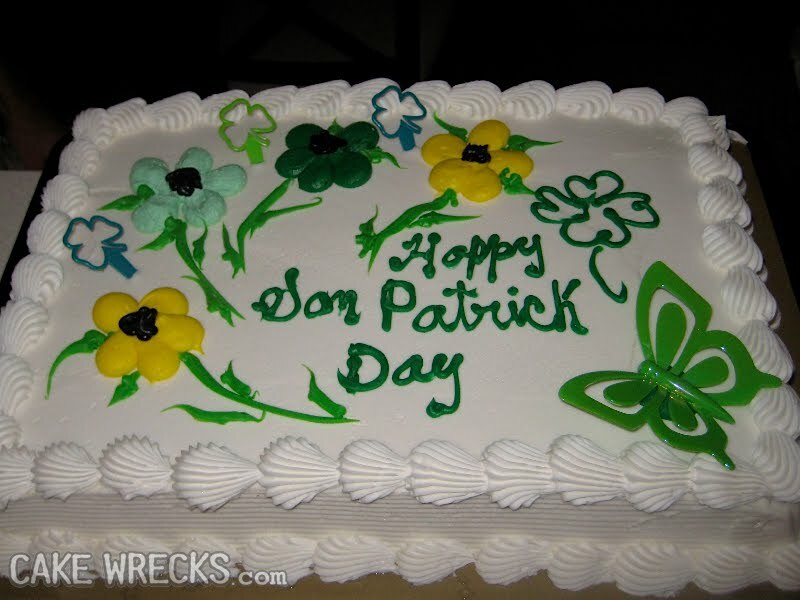 Grammar Giggle – Happy Sam Patrick Day! Comments Off on Grammar Giggle – Happy Sam Patrick Day! One of my favorite sites is Cake Wrecks. I found this on that page and am sharing it here. 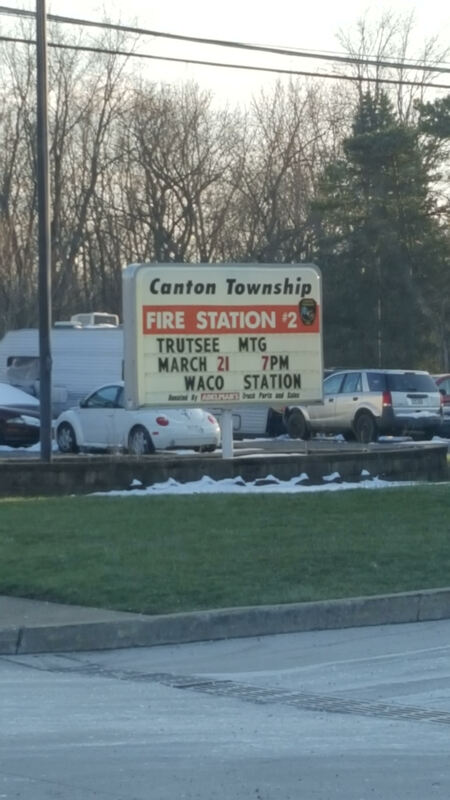 Spelling matters! Happy St. Patrick’s Day! 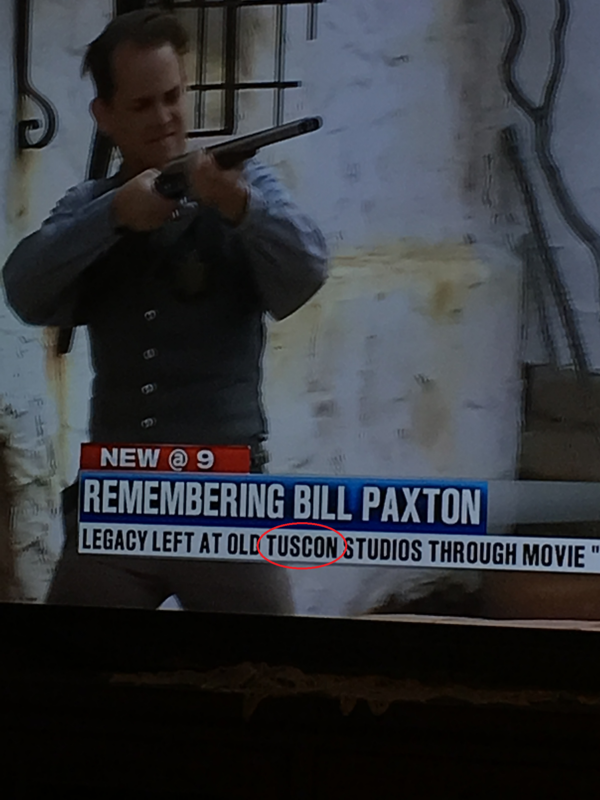 While I understand that some cities are difficult to pronounce and/or to spell, Tucson is the second largest populated city in Arizona, so our Phoenix news station should certainly know how to spell it. Pronounced “two saun,” if someone has problems remembering how to spell it, you could pronounce it “tuck sun” (but only in your head please) to help spell it right. The state of Arizona is known as the Grand Canyon State. One of my favorite places to visit is Washington State. The State of Arizona is the 48th state admitted to the Union. In Michigan, the State Corrections Director is in charge of the correctional system. The State filed a Motion to Dismiss. The State of Florida’s statutes regarding corporations are codified at Title XXXVI. I have made and will continue to make mistakes and I will continue to learn right along with you. While I hate making errors and hate even more when others catch them, I am always happy that they are brave enough to bring it to my attention and give me the opportunity to fix it. 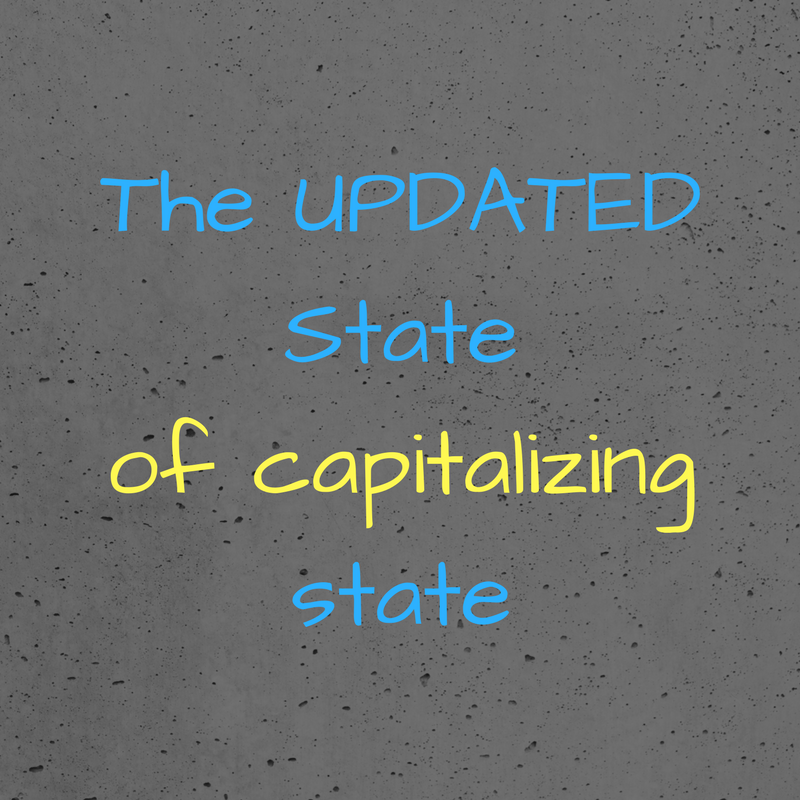 So as I said in the original article, capitalization of the word “state” is very confusing. But hopefully we’ve made it a little clearer—and more accurate—this time.